Corporate treasury manages a company's cash flow in the most efficient and profitable way possible. The field also involves forecasting future needs for funding and seeking the best alternatives for obtaining that funding. The head of a corporate treasury department typically holds the title of corporate treasurer and reports to the company's CFO. A bachelor's degree can be sufficient to get your foot in the door and qualify for a junior position, but a master's degree in business administration is increasingly required for more senior positions in corporate treasury. The need for formal certifications can vary by employer and by position. In some cases and with some companies, you may need either a CPA or a CFA. Even if it's not required, having one can make you a much more desirable candidate. Several other more specialized designations, such as CTP or CIA, also may be in demand for certain positions and by certain employers. Cash managers are a subcategory of corporate treasury personnel who focus on balancing incoming payments from customers with outgoing payments to suppliers and for taxes. Cash managers also seek appropriate investment opportunities for any excess cash that accrues, normally in short-term debt or bank deposits. This gives the field an aspect of money management. Corporate treasury also has many similarities to investment banking because it involves monitoring and forecasting the company’s needs for outside funding, both long-term and short-term. This may involve utilizing bank loans, commercial paper, bond issues, and stock issues to meet these needs for cash. Corporate treasury personnel typically work in close concert with outside investment bankers. There is a great deal of variation in the schedules of corporate treasury personnel depending on the exact position an individual holds, the company, and how deeply it has staffed the function. That said, work weeks of 50 to 60 hours are not unusual, often taking place in fast-paced work environments that require adapting to frequent last-minute contingencies. A career in corporate treasury can be highly paid, exciting and stimulating work. Its affinities with money management and investment banking add to its variety and intellectual interest and can offer openings to these fields. In some cases, especially during periods of economic difficulty when a company is under financial stress, corporate treasury personnel can be under enormous pressure. And if you're not fond of putting in long hours or you're not particularly adept at thinking on your feet, this might not be the right career for you. Salaries depend significantly on the corporate treasury role you play, as well as on the company. The bigger the company, the more the job entails, so these positions typically pay more. The median average salary for a cash manager is a little more than $87,000 as of 2017, ranging from about $67,000 to $101,000 annually. 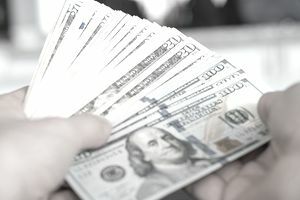 Corporate treasurers make more, typically in the six-figure range with a median annual salary of almost $191,000, but again, this depends heavily on the corporation or company in question.